A nanny is not just a babysitter who watches your kids- she is a person who will work with you to ensure that your children receive the very best care, in accordance with your parenting philosophy, and she will become a very important part of your family! Selecting a nanny is not always an easy task, but when you work with a high quality nanny agency, you can count on meeting nanny candidates who are screened and selected specifically to meet your family’s needs. Please use the following tips when choosing a nanny to ensure that you pick the perfect person for the job. A nanny agency carefully chooses candidates that best meet the needs of their clients, but every nanny is different, and carefully reviewing a resume may uncover a skill that you desire in the person who is going to assist you by providing loving care for your kids. You may discover that a candidate is fluent in a language that you would like your children to learn, or perhaps she possesses an uncommon skill that you really appreciate. Before asking any potential nannies questions, it is a good idea to give the candidates that you are speaking with an overview of your parenting philosophy and expectations in the position. Your nanny agency has probably selected candidates according to the specific information that you provided them with, but talking one on one will give you the chance to find out exactly which person will be the best fit with your family. When you are interviewing the candidates that your nanny agency has selected for you, do your very best to avoid dead end questions that can be answered with a ‘Yes’ or a ‘No’. Job interviews can be tough for anyone- draw up a list of questions that gives your potential nanny the opportunity to elaborate, and really talk with you about her skills, and what she has to offer your family. 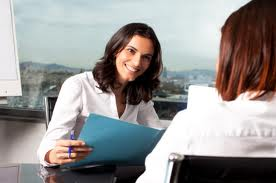 Your nanny agency will be most likely have a list of questions available to help you during the interview process. This tip is written last on the list because it should be done last. This doesn’t mean that this step isn’t extremely important! You want to make sure that there is a connection between your nanny and your children. But a lot of people are good with kids- it is not as easy to find a person that fits all of your criteria, agrees with your parenting philosophy, and is completely in line with the way that you want your children to be cared for. If you meet a candidate who you are extremely comfortable with, introduce her to you children and observe what happens! The Knightsbridge Nanny Agency takes great pride in our nanny selection process, and we work with our clients each step of the way to find the perfect nanny for their family!